Once upon a time, I was a snowboard bum. I skipped classes based on the snow condition at Cypress. I scraped together money to pay for lift tickets. In the winter, my face had a permanent racoon pattern from sunburn with goggles on. I dreamed of snowboarding all day long. Today, to celebrate the last day of my unemployment, I went riding at Cypress. At one point I sat on the snow, taking in the view of Vancouver, and pondered about life. Well, not so much pondering about life, but more being amazed by how much things have changed. When I started snowboarding, I was 18 or 19. I was a student, had no money, without a care in the world. Now I can barely reach down to strap my bindings because of my old bones and belly fat. Some days I forget that I’m approaching 40 and have a family and a big fat mortgage and real responsibilities. I’m not one to take selfies. Today, I felt like I should take one so I can remember this stage of my life. 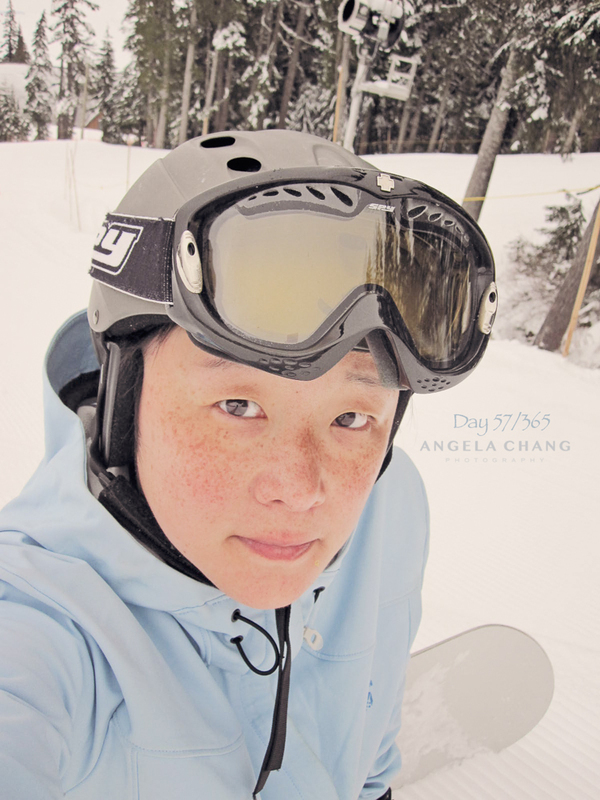 This entry was posted in 365, Photography and tagged 365, snowboarding by angelasaito. Bookmark the permalink.